This course will help you with your City and Guilds Food safety exam study all sections and answer all the question . If you are new to food safety watch the following video if you have the knowledge skip the video. As always it is important to know your enemy! We control the growth of,and therefore contamination by,bacteria by understanding how they live and die. 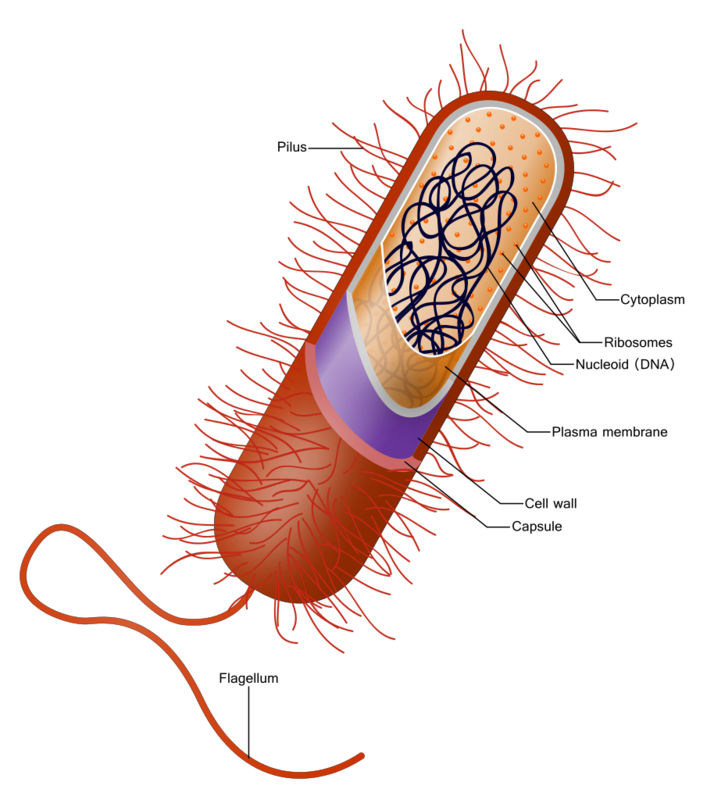 Bacteria are single-celled organisms that reproduce (grow) by splitting in half.They have the ability to multiply very quickly at room temperature,given the right environment. They can double as fast as every 10 minutes and so reach more than a million in about three hours,yet even a million bacteria can fit on a pinhead and are invisible. How do we stop bacteria from growing? By restricting their environment,by removing their food,by making their food unavailable and by using temperature. Chilling slows bacteria down,freezing causes them to become dormant,cooking kills them,and hot holding prevents their growth. All this can be abbreviated as FATTAM food,acidity,temperature,time,air and moisture. An essential part of being a Tourism and Hospitality worker is the discipline to ensure that hygiene standards are maintained in all areas of the enterprise. Good hygiene takes effort! Why is hygiene so important?. Prevents the outbreak/spread of food-borne diseases. Helps maintain a clean, physical appearance of the establishment. It is a legal requirement click here . Produces more streamlined processes and less waste. The first thing customers see when visiting your business is the establishment itself. If everything is clean and tidy, then the customers can reasonably assume that the establishment will be hygienic and safe to enter. In New Zealand is food safety a legal requirement? Hygiene is also important from a business point of view. Businesses can only afford to employ people if they make money. To do this they must make more money from selling food than they spend on ingredients, staff wages and other costs of the business, such as storage and waste. Good food safety procedures assist a business as it helps minimise waste. For example, if food is stored correctly it will last longer and less will need to be discarded. It is important to remember that food safety is a legal requirement and non-compliance can cost the business a great deal. Fines may be issued or the business could even be temporarily, or permanently, closed down. Food safety is a critical aspect of workplace hygiene. Even if you do not work directly with food, your actions can indirectly affect food hygiene. For example, if a housekeeper does not follow the correct procedure when handling dirty linen, bodily fluids and bacteria could get onto a room service tray. If that tray is not washed correctly, the body fluids and bacteria could be transferred to the food preparation area. Follow these procedures in your kitchen to ensure you produce safe food. Good personal hygiene reduces the likelihood of food contamination and applies to every food handler. Hair should be tied back and covered with a hat, cap, etc. Do not touch hair, nose or mouth during food preparation. Food handlers should not spit, sneeze or cough over food. Do not attend work if you are unwell. Food handlers should smoke outside any food preparation areas and ensure that smoke and odour can't seep back into the building. Cover cuts and sores with a waterproof and brightly coloured dressing. Keep fingernails short and clean, with no false nails, nail varnish or other nail decoration. Use tongs whenever possible when handling food. Sample cooking with a clean spoon each time. after using a handkerchief, coughing, or touching hair, nose or mouth. Wear a clean uniform and change into your uniform at work to prevent contamination from outside. Do not wipe hands on work clothes, apron or kitchen clothes. You can't,it will appear normal. It will have a different colour. In most countries 20% of the population suffer food poisoning each year, with 20% of these as a result of poor handling practices. 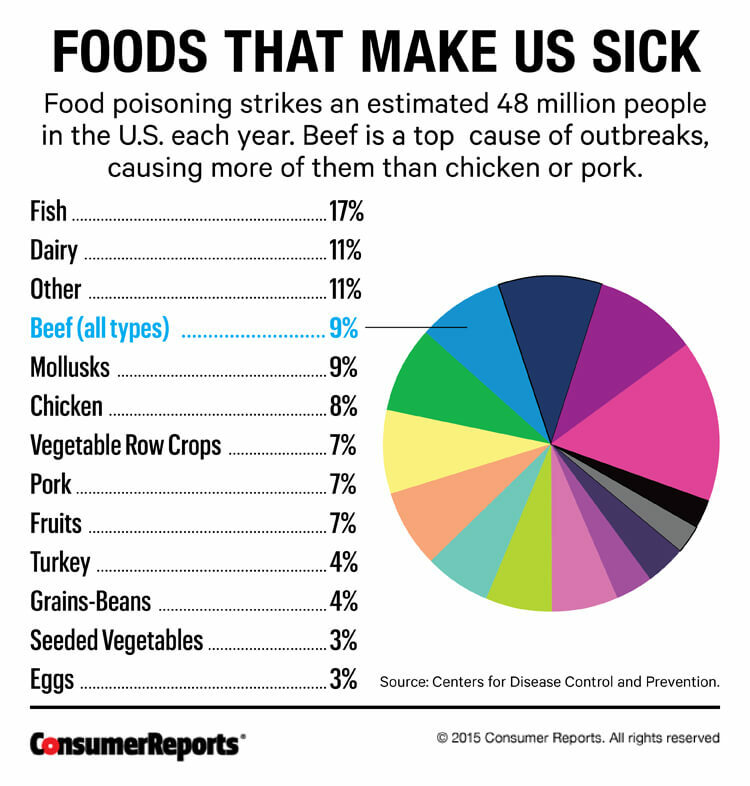 Approximately 10-15% of new food poisoning cases are reported daily. Around 0.05% of people die each year from a food-borne illness. 10-20% of food-borne illnesses arise from consumer mishandling. Authorities believe that only a small amount of food poisoning cases are in fact reported, hence the real statistics could be much higher – have you ever had food poisoning and not reported it?. 60-80% of food-borne illnesses originate from commercial food service enterprises such as canteens, hotels, cruise ships, airlines, aged-care facilities and hospitals. Globally, instances of food-borne illnesses are on the rise. Note: these references are an accumulation of facts from a variety of countries and specific research must be undertaken to apply data to the latest facts and local specifics! Q2 What kind of soap should be provided for hand washing? Why is it important to store high risk food in temperature controlled conditions?. To prevent growth of bacteria. To decrease risk of pest infestation. Contamination and progression into food spoilage can happen at a range of steps in the food journey from harvesting to preparation or insufficient cooking. Food poisoning refers to the consumption of contaminated food by an individual, that results in health problems. Common indicators are diarrhoea and vomiting. Contamination agents are bacteria and viruses or toxins. It is important to note that fresh preparation and immediate consumption of food rarely results in food poisoning. The recent increase in reported cases of food poisoning mostly stems from changes in our lifestyle and an increasing tendency to eat food prepared by someone else. This can be in a restaurant, takeaway shop or as pre-prepared food purchased from a supermarket.Food poisoning occurs when food is prepared, stored and consumed later. bacteria multiplies and grows faster in warm environments. bacteria needs air to survive. By freezing food you can kill bacteria. What is the main reason for drying your hands after washing them? Because germs and bacteria are more easily spread with wet hands. 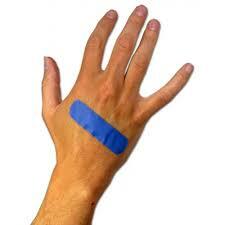 Yuor hands are slippery when wet,and you will not be able to hold kitchen utensils properly. Whilst in a food preparation or serving environment,what is the best way to dry your hands after washing them? Which of the following meats are safe to eat when they are pink or raw? Which of the following foods is likely to contain the MOST bacteria? 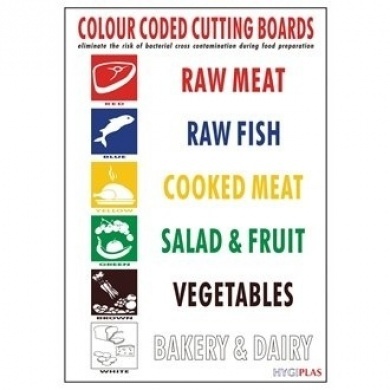 Raw and cooked meat or foods containing raw or cooked meat e.g. Stews. Smallgoods e.g. Ham, meatloaf Dairy products e.g. Milk, cheese, custard. Seafood (excluding live seafood) fillets and all processed seafood including stock. Processed fruit and vegetables e.g. salads or cut fruit. Foods containing eggs, beans, nuts or other protein-rich foods such as quiche, or fresh pasta. Foods that contain these foods, for example sandwiches and rolls; cooked and uncooked pizza. which of the following is NOT a common source of microorganisms? Biological contamination: arises from disease-causing microorganisms. Not washing fruit and vegetables – they have often been sprayed with insecticides or are dirty. 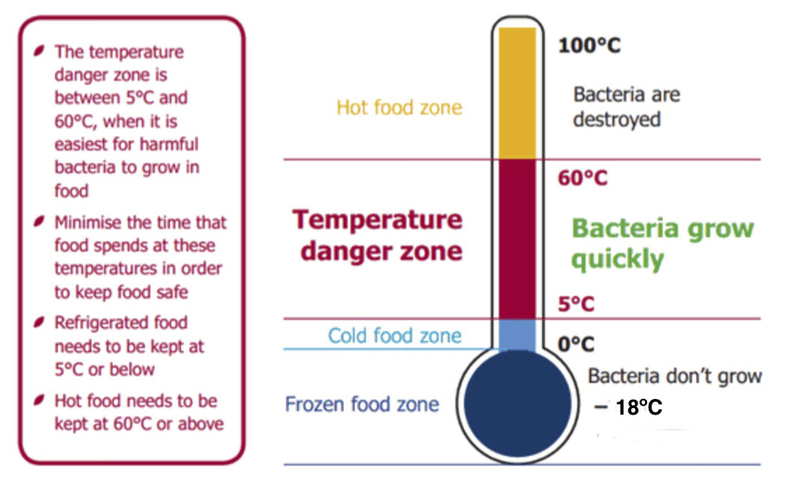 Improper temperature control – the danger zone is between 5°C and 60°C and pathogenic bacteria multiply very rapidly in this environment. Cross-contamination – mixing different food types, as well as cooked and uncooked food, can result in bacteria being served to a customer. Proper storage, food handling and cleaning procedures must be followed to prevent cross-contamination. Pests – proper storage and regular pest controls are necessary because pests transmit germs and spoil food. 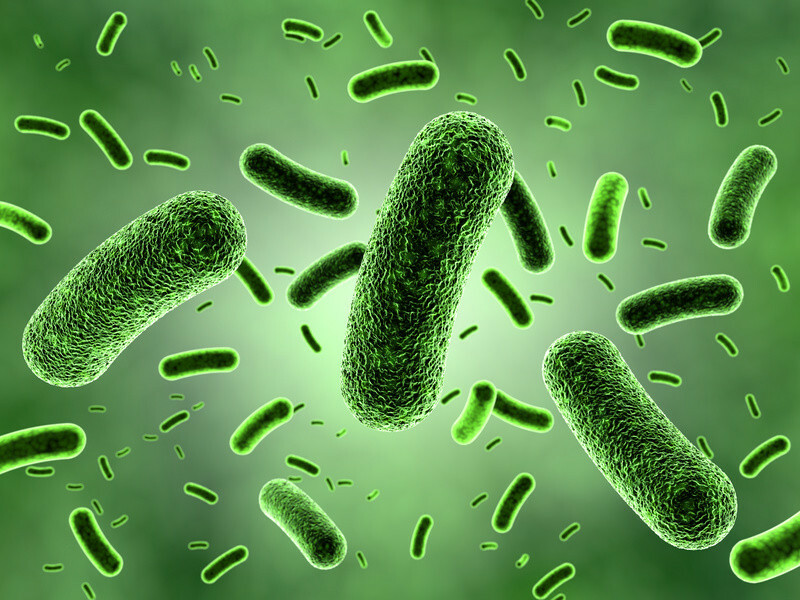 Improper cleaning – if cleaning and sanitation processes are not done correctly, bacteria and other pathogens will multiply and cause problems. Correct hygiene procedures therefore take all of the above dangers into account and manage these. Since 1 July 2013 every food premises must have a written sickness policy which must be adhered to by all food handling staff. The sickness policy provides a system of controls to minimize the risk of food becoming contaminated from food handlers carrying harmful bacteria and viruses. It outlines general exclusion criteria, as well as, exclusion times for specific illnesses. You can download a copy of the health and sickness templates, sickness record sheet and exclusion of infected persons information, from the Ministry for Primary Industries FCP manual. By law, food handling staff must report any illness to their manager especially any skin, nose, throat, stomach or bowel trouble or if they have infected wounds. It is the employer's responsibility to ensure that food handlers do not pose a risk to food safety. report if anyone in their household is suffering from diarrhoea, stomach upset or vomiting. not return to work until free of gastro-intestinal symptoms such as vomiting and diarrhoea for 48 hours. not return to work until they have been symptom-free for at least 48 hours after stopping the use of anti-diarrhoeal medication. reporting sick at UCOL you need to phone /email D.meehan click here or phone 0800goucol ext 70902. Which one of the following kitchen work surfaces is porous and likely to hold bacteria? 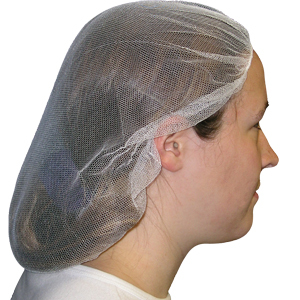 Which of the following is acceptable for a food handler to wear? staff must have good personal hygiene. do not use chefs’ cloths for wiping hands and then dishes. 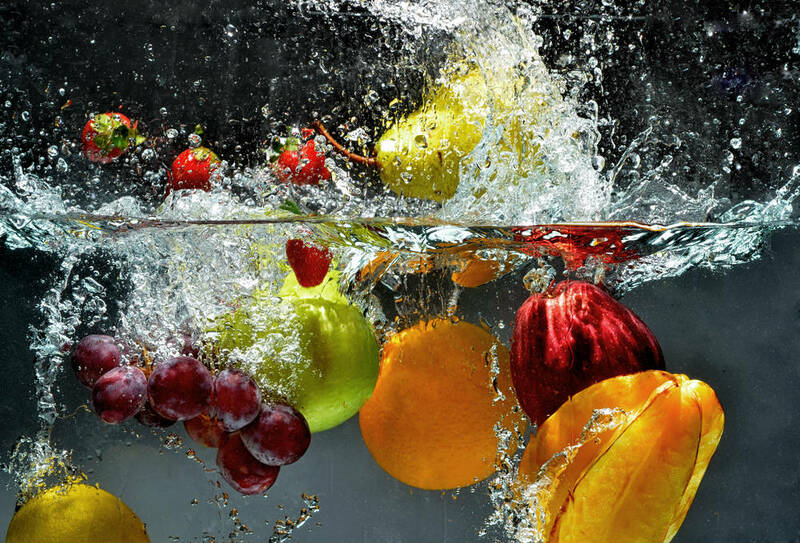 thoroughly wash hands after handling raw foods and before touching other food or equipment. use separate refrigerators for raw and cooked or ready-to-eat foods, where possible. If not possible, store raw food in the bottom of a shared refrigerator and below the cooked or ready-to-eat foods. raw meat must be stored separately from raw vegetables. raw food which is being defrosted should be stored on the bottom shelf of the refrigerator in a tray or bowl that will catch any 'drip' as the food is defrosting. all foods in the process of being cooled should be kept separate from raw foods. store food containers off the floor to prevent them picking up dirt which could be transferred to the work surfaces. 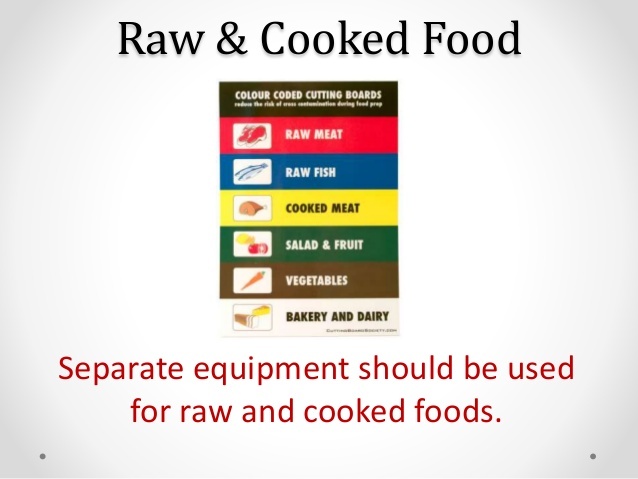 separate designated equipment should be used for raw and cooked or ready-to-eat foods. If this is not possible, then it must be thoroughly cleaned and sanitised between uses. designated utensils should be used for the handling of raw food and separate utensils for cooked or ready-to-eat foods. reduce the handling of ready-to-eat food. This may be achieved in various ways such as the use of dedicated tongs and serving spoons. This will assist in reducing the risk of cross contamination. when cleaning, it is recommended that high risk areas are cleaned before low risk areas, especially when the same equipment is being used. use separate cloths for cleaning raw areas from cooked or ready-to-eat areas. Cleaning cloths can help to transport bacteria around your premises. 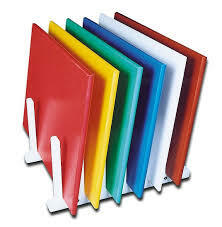 What coloured chopping board is used for raw meat? Times vary from an hour to several days. Common symptoms are cramps, nausea, vomiting, diarrhoea and fever. Consider that in a worst case scenario food poisoning can lead to death! Which cleaning method is used to reduce bacteria to a safe level. Solanine in green potatoes and other nightshade vegetables. Oxalic acid in rhubarb leaves. Low levels of cyanide in apple seeds. Cleaning chemicals and pest control chemicals. Food hygiene refers to the care and attention that you must take when handling food products. Washing your hands between tasks. Wearing gloves and replacing them. Knives and other utensils must be cleaned. All preparation areas and surfaces must be cleaned . Harmful bacteria are present in foods and can quickly multiply if left out at room temperature. The 'danger zone' is between 5ºC and 60ºC. To control the rate that bacteria multiplies, food must be kept frozen, chilled or hot (i.e. out of the danger zone). Place perishable food in the refrigerator for storage immediately after delivery. Left-over food must be refrigerated as soon as possible. Store raw meat (including poultry) in a separate refrigerator, otherwise store at the bottom of the refrigerator so it cannot drip or spill onto other food. Stacked food must be covered at all times. Do not cover food with tea towels. Do not overload the refrigerator. The air inside must be able to circulate. Refrigerator temperature should be at or below 4ºC. Freezer temperatures should be below -18ºC. Keep the refrigerator clean and defrost regularly. Record daily temperatures in the Food logbook example (PDF 43KB). Refrigeration and freezing does not destroy germs. Food still 'goes off' in the refrigerator. Refrigeration and freezing is just a temporary safe storage method. Cook food to a minimum of 75ºC core temperature. Cooked food must be rapidly cooled and then refrigerated within one hour. Use shallow containers with food about one inch in thickness and stir to aid cooling or place food container in a clean sink with cold water and a sufficient amount of ice. Food being hot held for service must be kept in pre-heated equipment above 60ºC. If 60ºC cannot be maintained the food must be either reheated within in two hours or disposed of. Reheat food to a minimum of 75ºC core temperature. Do not reheat again. It is advisable to conduct temperature checks of equipment using thermometers and a temperature probe for food and record the results. Record temperatures in the Food logbook example (PDF 43KB). What is the correct temperature that frozen food should be kept at? Q2 What temperature should frozen food be kept at? The storage and disposal of waste is important as it presents a risk of physical contamination to food and may also attract pests. cross contamination from harmful bacteria. Waste is any item of food, ingredients, packaging materials or old cleaning cloths which is not suitable for further use and intended to be thrown away. Food waste should be placed in containers with suitably fitted lids and removed frequently from the food handling areas where it is produced. The containers should be kept in good condition and be made of durable material so they are easy to clean and disinfect. Other waste such as cardboard and paper does should be kept separate from food but does not need to be kept in sealed containers. It must also be stored in a way that does not pose a risk of contamination to food or provide somewhere for pests to live or breed. Sanitary waste and waste disposal units need to be dealt with by competent personnel who are responsible for their correct disposal. All disposal units should be regularly cleaned to prevent offensive odours. outdoor storage should preferably be sited away from the main delivery entrance. Special care must be taken when serving these customers. For example, in a hospital or nursing home almost all customers would be high-risk, so extreme care must be taken surrounding food safety. Likewise, people with allergies to certain foods, such as nuts, gluten, dairy or seafood may react may react badly to the slightest contamination. How do you know if a beef burger has been cooked properly cooked and is safe to eat? If you can see the outside of the burger is evenly brown and when you cut it in the middle you can see that the meat is no longer pink. if you can see it has been burnt then you know it is safe. After cutting it in half and you can see the inside is red you know it has been cooked properly. Most cases of food poisoning are the result of people not working properly in the kitchen,'taking chances' and not paying proper attention to the delivery and storage of food.This is why training is important,so that you know what you are doing and are following a safe system when handling and preparing food at all times.That system is HACCP. 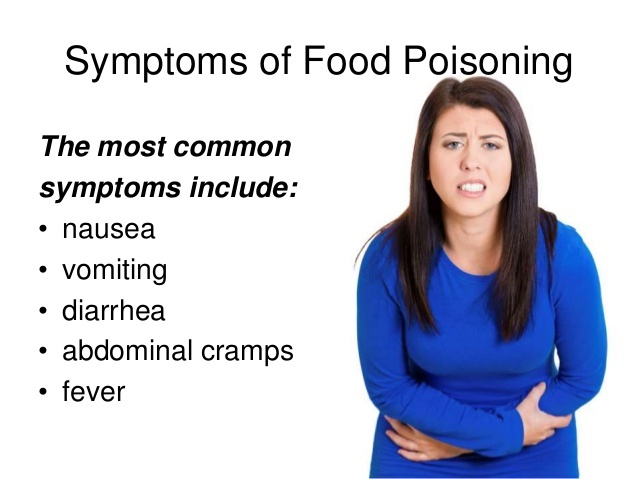 There are many causes of food poisoning,all of which are avoidable. 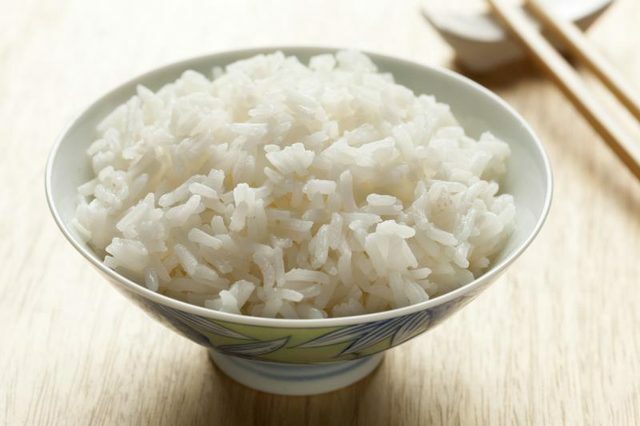 1 Contamination of food by bacteria and viruses,due to not washing hands frequently,especially after sneezing or visiting the toilet,and in between handling raw meats and ready-to-eat food such as salads. 2 Not heating food sufficiently to kill bacteria. 3 Holding food: keeping it not hot enough (above 63C) for far too long a period,which allows bacteria to grow. 4 Not keeping food cold in the refrigerator,allowing bacteria to grow in a warm environment. 5 Contaminating food,which will not be cooked,with bacteria.This is why we keep cooked and raw food separate. 6 People carrying bacteria. This may be in the form of an infected boil or cut. Some people carry dangerous bacteria without any sign of being ill.
Bacteria are not the only living hazard. Viruses are found in shellfish and ourselves,especially when living in close quarters-for example,staff and passengers on cruise ships can suffer from outbreaks of viral gastroenteritis. Other hazards include chemicals such as cleaning solutions and objects such as steel wire that can cut someone's mouth,and our own hair,which can easily fall into food and may carry bacteria. The first step in good practice and HACCP is what we call a hazard analysis-or simply,let us see what can go wrong! 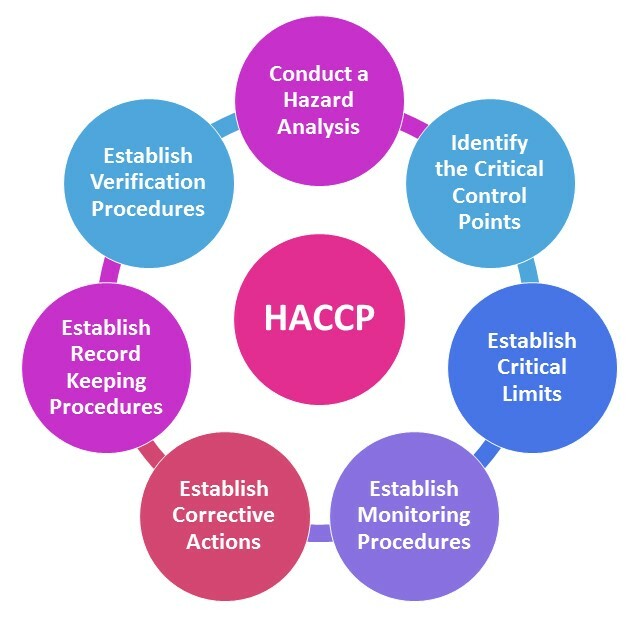 Hazard Analysis of Critical Control Points (HACCP) is a system that originated in the USA to prevent food poisoning of astronauts whilst in space. By recording each step contamination and temperature risks are minimised. Include all control limits and corrective action as well as audit and verification documentation. Any incidents can then be traced back to the source and future incidents can be prevented. HACCP is crucial in bulk catering as large batch production could lead to poisoning of a big pool of clients. You must wash poultry and chicken pieces before cooking them? Which one of the following is mostly associated with poor personal hygiene? 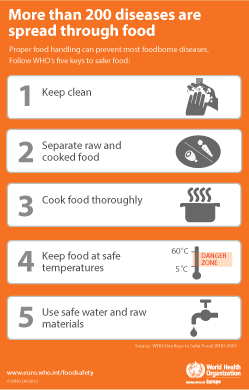 To minimise the risk of food contamination, you need to consider all the steps involved in food preparation and sales. This is referred to as the catering cycle! At each step of the food handling cycle, it is important to identify and remove potential causes of contamination. You also need to monitor and record temperatures of commodities, prepared foods and storage and display areas. Other records that must be kept are training, pest control, cleaning schedule and stock rotation records! If a food is cooked on the outside it will be cooked on the inside. Keep raw and cooked ingredients apart and do not use the same tools or cutting boards for different tasks. Wash all equipment and tools in between tasks. Wash Peel Rewash (WPRW) items in clean water to prevent contamination from chemicals and bacteria. Clean and sanitise benches and cutting boards in between production steps. Do not leave food in the danger zone. Wash your hands thoroughly whenever it is needed. Processing, packaging and holding – par-cooking, precooking and cook-chill. Return prepared goods to the correct storage conditions immediately, e.g. seafood on drip trays covered with ice. High risk items which are below 70°C, e.g. custard sauce and hollandaise, need to be used quickly. Packaged processed food must be in sealed, sterile packaging with appropriate labelling, such as use-by date and nutritional information. Keep storage containers sealed and prevent any physical contamination prior to adding food. You need a calibrated thermometer that can be inserted into food via a probe. Which one of the following should be in a HACCP plan?. A person who has been ill,has recovered but can still pass on harmful bacteria. A person who has not been ill but shows symptoms of food poisoning. A person who has not been ill but can still pass on harmful bacteria. 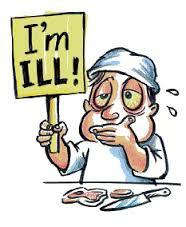 A person who has not been ill and shows symptoms of food poisoning. Which one of the following Must be reported to a supervisor. Mouse droppings in store room. Training – sessions and content plus any assessment results records. Organisational policies and procedures – accessible manuals including food safety legislation policies. Sickness – register and record including doctor’s certificates. Accidents – register stating incident and any resulting risk assessment changes. Cleaning schedules – daily, weekly, monthly or quarterly schedules. Visitor policy and register – sign in and sign out. Complaints – reason for complaints and response. Equipment – temperature logs, malfunctions and impact on food safety e.g. broken fridge. Stock rotation records – log of purchases and usage minimum and maximum levels of stock. Which one of the following will increase the risk cross-contamination? Authority to close down premises. Authority to enter premises without appointment. The power to seize foods. Policies and procedures must highlight how the enterprise ensures personal hygiene practices – measures could include spot checks, provision of clean uniforms or uniform policies, reporting to supervisor at beginning of shift etc. Measures that are undertaken to ensure compliance with policies and procedures – measures could include targets for specific areas e.g. OH&S incidents to be under a specific number per annum. Compliance with food safety legislation can be assured through thorough record keeping and spot checks by managers against processes. Key processes such as hand washing or protective clothing must be measured. What is the ideal temperature for pathogens to flourish? 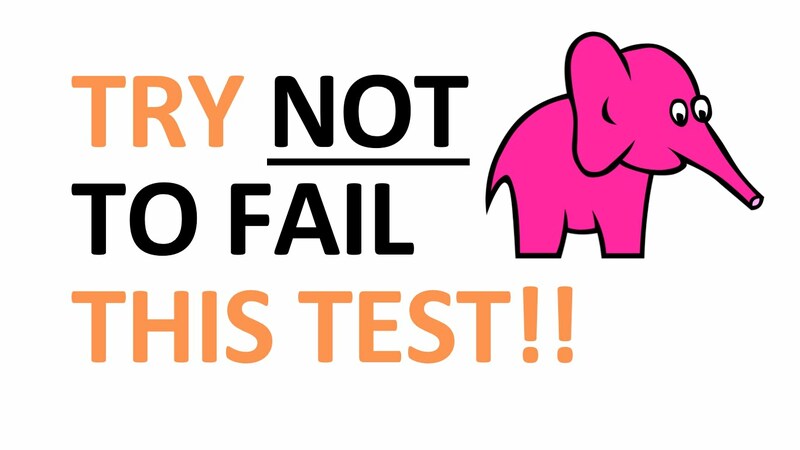 Click on pink elephant there are 5 test and you should be able to answer most of them .